Nestled between France and Spain, in the Eastern Pyrenees, we find Andorra, known worldwide for its duty-free shopping opportunities and stunning alpine landscapes. A skier’s paradise, Andorra boasts excellent snowy slopes in the winter and a range of outdoor pursuits all year round as well as irresistible local cuisine that can be enjoyed in the many excellent restaurants in Andorra la Vella, Europe’s highest capital city. International as well as national families have long been drawn to Andorra by its child-friendly atmosphere, low crime rate, fiscal advantages and the very high quality of life enjoyed here. Whether looking to start a new, healthier life in incredible natural surroundings or purchasing a second property in one of the ski areas as a holiday home, we have real estate to suit all purposes and budgets, ranging from stunning penthouses to luxury chalets. 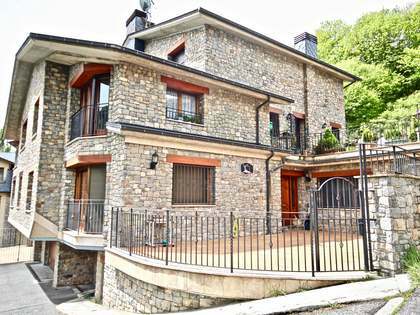 Most of the real estate for sale in Andorra is new and is an attractive option for investors as property prices here are continuing to experience yearly capital growth. Our highly professional and experienced team of estate agents can help you navigate the Andorra property market and can attend clients in Catalan, Spanish, English, French, Italian, Portuguese, German and Russian, accompanying you every step of the way during the sales or rental process. 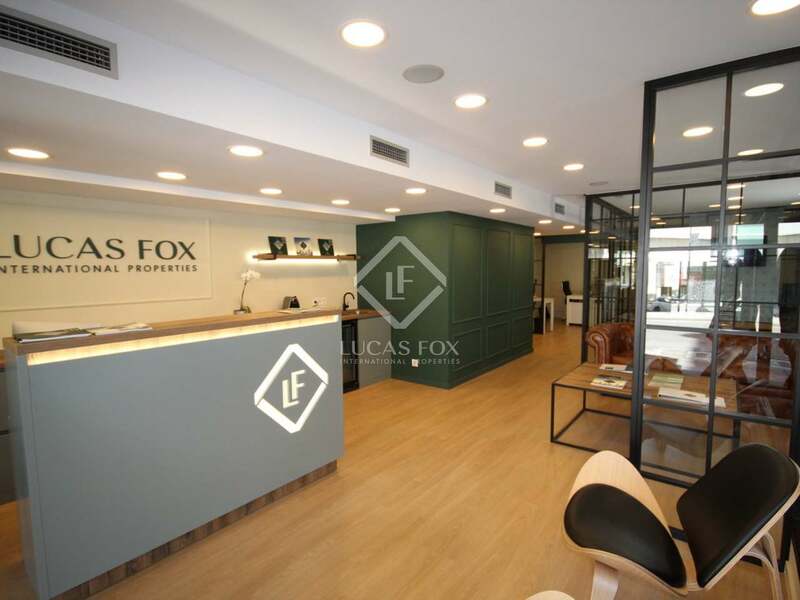 At the Lucas Fox Andorra office we offer a wealth of market knowledge and real estate expertise to help with all of your property requirements. 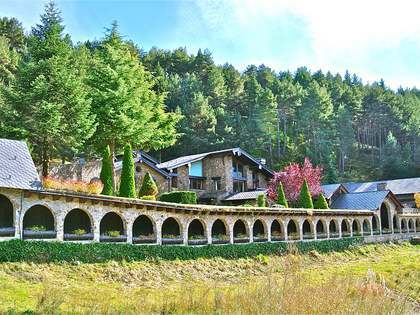 Experts in matching individual’s lifestyles with the ideal property, we can help make the best use of your valuable time and find the ideal property for you in Andorra. Our properties are mainly in the most important residential areas of the country and around the Grandvalira ski resort which is highly attractive as it provides easy access to the ski slopes as well as stunning views. 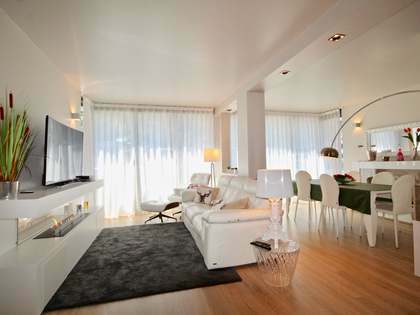 In our extensive portfolio of Andorra homes you will find slick new modern apartments with high-end interiors and parking facilities in the city centre and large detached mountain chalets in the best residential neighbourhoods. The larger properties boast all manner of extra luxury features such as private spas where you can soak in a hot jacuzzi after a day out in the snow, home cinemas and gyms. Many of the apartments and penthouses also benefit from communal amenities in the same building. 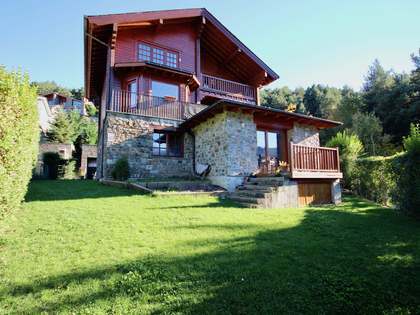 Many clients choose to buy a second home in Andorra due to its appeal as a holiday destination both during the snow season and the warmer months when the valleys are lush and green and the mountains come alive with pretty wild flowers and impressive waterfalls. 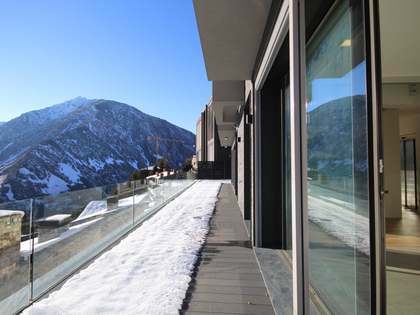 The demand for holiday rental properties in Andorra is consistently high, providing complete peace of mind and guaranteed high returns on your property investment here. Whatever your personal circumstances, at the Lucas Fox Andorra office we offer a diverse range of luxury properties for sale and rent suiting any lifestyle. Browse through the exclusive properties on our web or contact our experienced agents to help you with your exciting property search.